Hi! My name is Cathy Mantell, and I am the Founder and Director of Adoption Consultants, Inc. I have worked in the adoption field beginning in 1989. I began by working in two separate adoption attorney’s offices, initially as the right hand legal assistant to a sole practitioner AAAA and ACAL adoption attorney, and later as the Director of a nationwide adoption law practice for several years before founding Adoption Consultants Inc. in 2002. Over the years I have assisted a great many birth mothers and adoptive parents with their adoption plans. My therapeutic counseling experience, as well as my educational background, have proven to be invaluable assets, crossing over directly to the adoption field. The hands-on experience I gained through assisting and counseling individuals in crisis provided the foundation from which I have been able to draw in my adoption work. Many birth parents feel “in crisis” and distraught when they first contact the office, requiring not only education and information, but emotional support as well. Through conveying a sense of understanding and non-judgmental emotional support, birth parents are more apt to take the time to consider adoption as a viable option, without feeling pressured or coerced. My focus is to help promote adoption as a positive alternative and choice for birth mothers facing an unplanned pregnancy. I believe caring and nurturing, education, guidance, emotional support and a sense of trust and comfort form the foundation for a solid adoption plan for all involved. 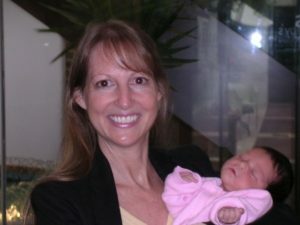 I also firmly believe in birth mother counseling, as it can play a vital role in assisting birth mothers in exploring any ambivalent feelings they may have, provide them with much needed emotional support, as well as prepare them for the different emotions they may experience not only during the pregnancy, but also following birth. By being prepared for these feelings and understanding them, a birth mother can be better prepared to move forward, as well as feel more positive about their adoption experience. Additionally, the office routinely checks in throughout the adoption process with all of our birth mothers to help ensure their emotional and physical needs are continuing to be met, and to provide them with a sense of nurturing and support that may otherwise be lacking. Personalized attention to each and every birth mother and prospective adoptive client I assist is of utmost importance to me. It is my goal that each individual I assist feel they have been personally cared for and attended to and not lost in the shuffle. For prospective adoptive parents, I have chosen to limit the number of Contractual Facilitation clients I assist (currently limited to 20 families approximately), in order to better provide each Client with individualized attention, as well as help increase visibility of one’s profile (Birth Mother letter) to potential birth mothers, with the goal that each Client might be able to realize their dream to adopt, and in as timely a manner as is possible. Again, thank you for taking the time to review the web site. I hope you find it to be informative and helpful. Please feel free to contact the office to obtain additional information about the adoption process and our services. The office would be happy to assist you further!